Your website is one of the most critical digital marketing assets. One challenge many organizations face, however, is that the website is designed from the company’s perspective and not the customer. As a business, your first inclination may be to focus on what you sell. From the customer’s perspective, they care about if you can solve their problem. Here are three perspectives to keep in mind when redesigning your website or app. Your audience may be in a remote setting with limited internet access. There are still corners of the Earth where reliable internet service is not a guarantee. Are your customers outdoor enthusiasts who may be hiking in a remote park or hunting deep in wooded terrain? Do you provide a service these people may want to access while in the wild? Ensure your app contains that information and is available when offline. While conducting focus groups and sending surveys, Spindustry helped South Dakota Game, Fish and Parks discover that their audience wants to access maps while in remote areas without internet service. This was a key addition to the new app that we built. Your audience may want to sort information by categories relevant to them. Giving customers the ability to see “all” available information is always important. But it’s just as critical to offer different sorting options to see relevant information. Does your audience want to view vehicle inventory by interior color or see a broader look at available products by collection? You’re likely giving customers simple sorting options like date range and price, but ensure that you add options that will make it easier and more helpful for your audience. 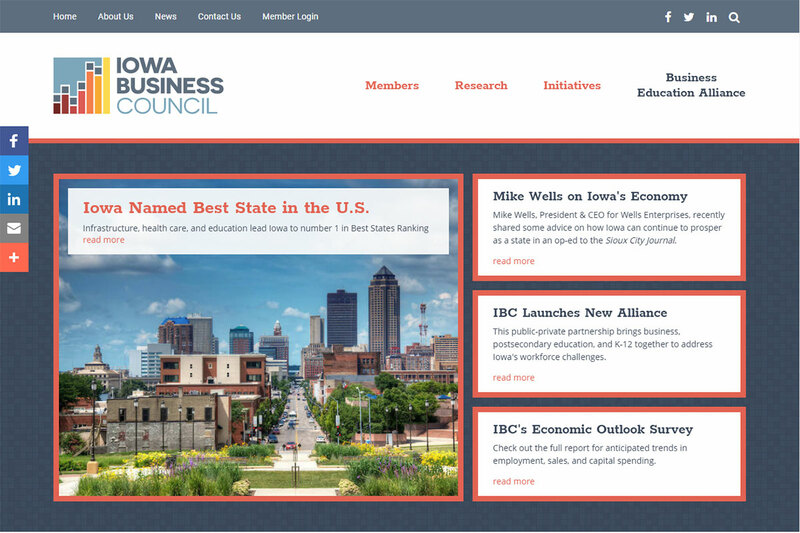 On the www.traveliowa.com website, users can search for events by date, city and category, but they also have the ability to search by region. This gives users a broader look at events in a small radius instead of having to scroll through pages of results for the entire state. Your audience may need to view products by equipment. When you sell a physical product, you want your audience to be able to quickly find and purchase that piece online. Your e-commerce site likely offers customers the ability to shop by category. This works fine for many customers. When you sell replacement parts, customers may shop by category, but it’s likely easier for them to shop by a schematic. They may not know the name of the piece but can easily find it via a diagram. The customer may also need to order several different replacement parts and a schematic allows for faster shopping. Is it time to update your website or app to better meet the needs of your customers? Do you need help gathering information from your customers about how to enhance your digital properties? Contact us to help you connect and serve your online audience. Have a minute? Learn more about how Spindustry and Paulsen helped South Dakota Game, Fish and Parks distribute timely information to a vast audience. Spindustry is a modern business agencyTM based in Des Moines, Iowa, and works with manufacturers and distributors seeking more leads, better connections and increasing sales.